Order your ready mix to be delivered quickly from either our Waterford or Auburn Hills plant locations. 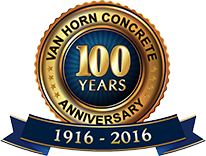 Dedicated to your convenience and cost-effectiveness, you can expect perfectly mixed concrete every time. Call 248-623-6000 (Waterford) or 248-332-9169 (Auburn Hills) to place your ready mix order. We can travel farther than you’d think – call to see if we deliver in your area.